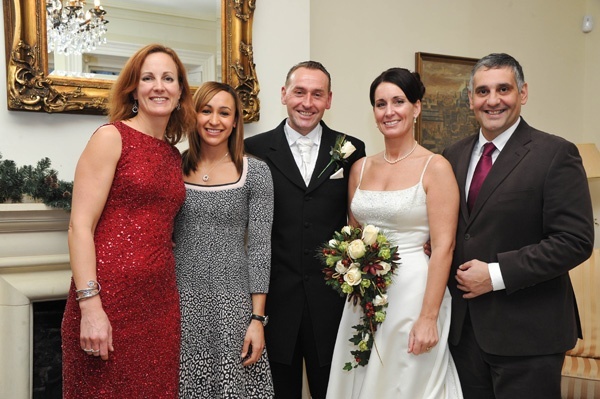 When bride-to-be Sonya Freeston was planning her big day she knew her future husband was busy with another woman – Olympic golden girl Jessica Ennis. For groom Derry Suter is a soft tissue therapist and has been a member of Team Jennis, the group of dedicated professionals who keep the heptathlon gold medallist in top form, for 10 years. Although Derry, 46, proposed to long-standing girlfriend Sonya, 43, two years ago, the couple couldn’t tie the knot until after London 2012. 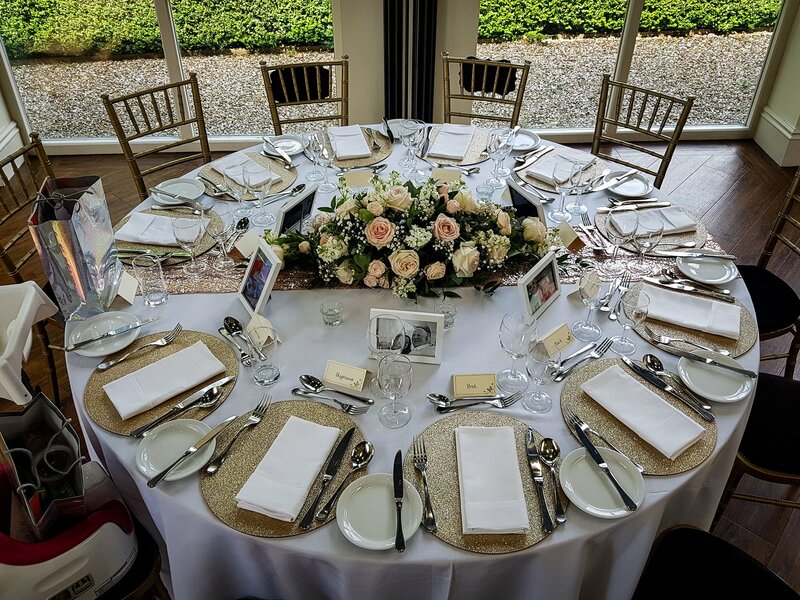 But when they finally walked down the aisle here at Shottle Hall, last month, Jessica Ennis and a host of other sporting stars were there to help them celebrate. The couple were also joined by two time World Squash Champion and double Commonwealth Games gold medallist Nick Matthews, Barnsley footballer Bobby Hassell and the new performance director of UK Athletics Neil Black. First met: We met through the same running club. Derry was a big runner back then, but his Achilles ruptured –that’s why he went into soft tissue therapy. Because no one could fix his injury properly, he decided to train to help others in the same situation. It’s also meant he has been able to go to three Olympic Games – Athens, Beijing and London. Proposal: Two years ago I told Derry that if he ever did propose I wanted it to be a surprise. But I also told him what kind of ring I wanted, just in case!! We went away for the weekend to Stratford upon Avon and I had absolutely no idea he was up to anything. We went for a lovely meal and at the end Derry kept asking if I wanted a pudding. He was really pushing me and I was getting a bit annoyed with him, because I didn’t want one. A waitress eventually came over with two plates and on mine was a little box in the shape of a heart. I went into a bit of a dream and sat looking at this box for absolutely ages – without saying or doing anything. It was quite an intimate restaurant and all the other guests realised what was happened, but I was so staggered I just sat staring at the box! When Derry said ‘will you marry me?’, I didn’t answer him I just said ‘oh my goodness’. There was a lady with some champagne hovering and eventually, I realised I hadn’t actually said yes. When I did you could feel the room breathe a sigh of relief. I was just SO shocked. Rings: I have quite big hands and I didn’t want a small, dainty ring – it would look silly. I have had some rings altered at Martin Wilkinson Jewellers, in Mansfield, and so Derry went there as he knew they would know what size I am. The ring he chose is just beautiful – it’s two ovals, one inside the other. It’s made up of lots of little diamonds – there are 23 in total – in a gold setting. 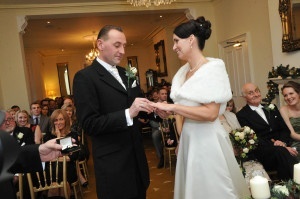 I had my wedding ring from the same place, but Derry got his from Judith Hart, in Derby’s Westfield shopping centre. Shottle Hall: We looked at loads of wedding venues and nothing really grabbed us so I decided to search on the internet. We came across Shottle Hall but thought it would be really expensive – things like the helipad and the exclusivity made us think it would be really pricey. But when we came to look round we found it was really competitively priced and because we didn’t need to hire cars and everything we needed was under one roof we just felt it was perfect. Also, if we added up all the hidden charges at other venues the total spend would have been much greater than the one fee we were paying at Shottle. We are so glad we picked Shottle because it was just the most perfect location. 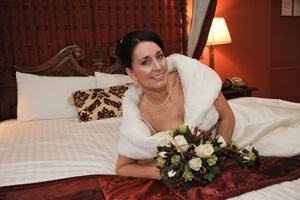 The staff were amazing, the food was great, the rooms were gorgeous – everything about it was utterly perfect. 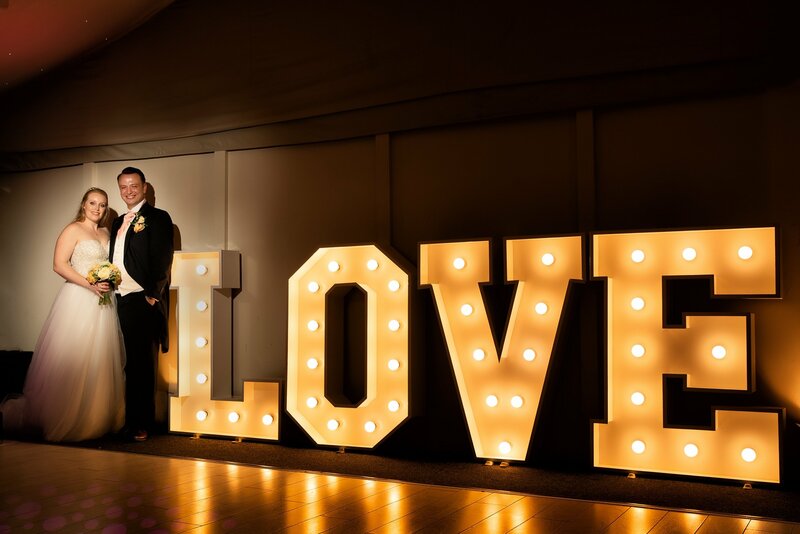 Wedding date: Originally, we wanted to get married on New Year’s Eve, as I always feel a bit down on that night and I thought it would really turn it around. 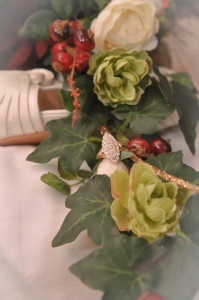 But then someone mentioned that they had been to a Christmas wedding and that with the decorations up everywhere looked sparkly and cosy and I loved the idea. So we ended up going for December 29 – which was a Saturday in between Christmas and New Year. Dress: I got it from Berketex in Nottingham. It was nothing like the sort of dress I imagined I would get, but I loved it. It had quite a lot of sparkly details round the top, spaghetti straps and an A-line skirt, with buttons down the back. I loved it because it also had a trim of sparkles around the bottom of the dress too, which seemed particularly Christmassy. I also wore a fur stole and felt like a Snow Queen. It was a bargain too – only £500 in the sale. Bridesmaid: My 13-year-old daughter Jamie was our bridesmaid and, although it took me no time at all to find my dress (I got that on the first day of looking) it took absolutely ages to find one for her. We looked in Yorkshire, Nottinghamshire, everywhere and then we found one in a tiny little shop in Mansfield called Finesse. She has quite fair skin and this dress was a beautiful olive green which suited her skin tone beautifully. Hair and make-up: My daughter and I went to The Hair and Beauty Lounge, in Mansfield’s Oasis Health Club. As it happened, a good friend of mine was in there having her hair done at the same time and so it turned out to be good fun. Pageboys: Our little boy Oscar and our nephew Ewan Barratt, who are both four. 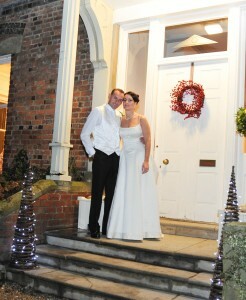 They were suited and booted by Greenwoods and looked really smart. 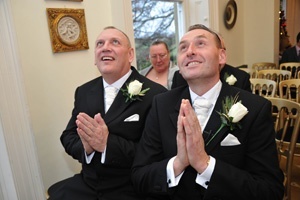 Best man: Derry asked Graham King to be his best man, as he has known him for around 10 years and they are very close. Ceremony: We had 83 guests for the day and it was quite an emotional ceremony. When I went down to the Olympics I was in Covent Garden with my friend and heard a husband and wife singing opera. They sang Time to Say Goodbye and it was such a beautiful song, it really captured me. I bought their CD and actually ended up walking down the aisle to it. We played Nessun Dorma during the signing of the register and walked back down the aisle together as man and wife to Take That’s Rule the World. We had two readings, which were lovely and very personal. My supervisor found a short verse about being still and reflecting on life, which was perfect. And my sister read a poem by Pam Ayres which, two nights before the wedding, we decided to tweak and personalise. It was a great idea as it made the reading very special, because it was just for us. Reception: We had the wedding breakfast in the Orangery and had winter warmer food - sausage and mash or chicken, with apple flan or profiteroles for pudding. The portions were great and there was plenty of wine too. We had speeches after the meal: Graham did one, then my dad, Derry and I probably made the longest one of all. My dad had forgotten his glasses and so he had to keep asking Derry what things said – it wasn’t part of his speech, but I think people thought it was! I did the table decorations myself, I bought lots of vases and filled them with baubles and lights and had little Christmas tree place settings, with people’s names on them. 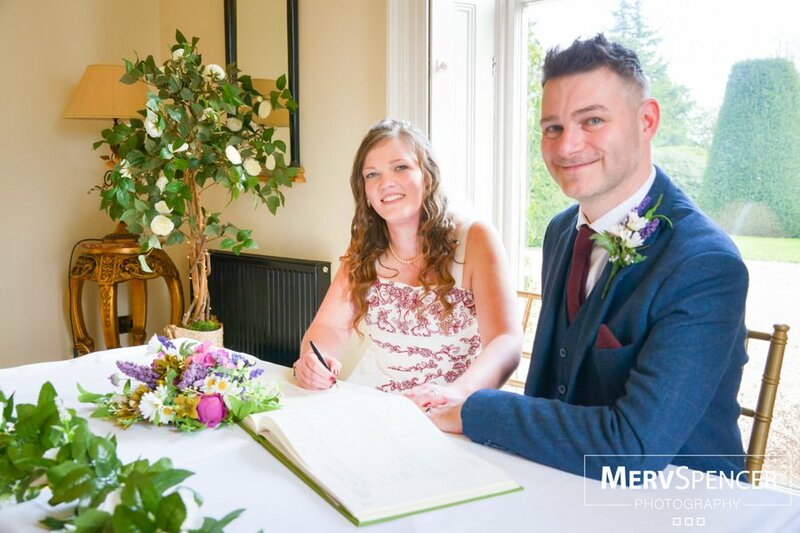 I also jotted down on each name card what they had ordered – because I knew people wouldn’t remember! We also put little captions on the back – a few words associated with that person. For example, Graham always says “one for the road” when he is just starting a night out, so we put that on his. And we put “Jess Ennis lookalike” on the back of Jessica’s. We had quite a lot of children at our wedding and so we put little activity bags on the table for them, which also included a signed photograph of Jess. 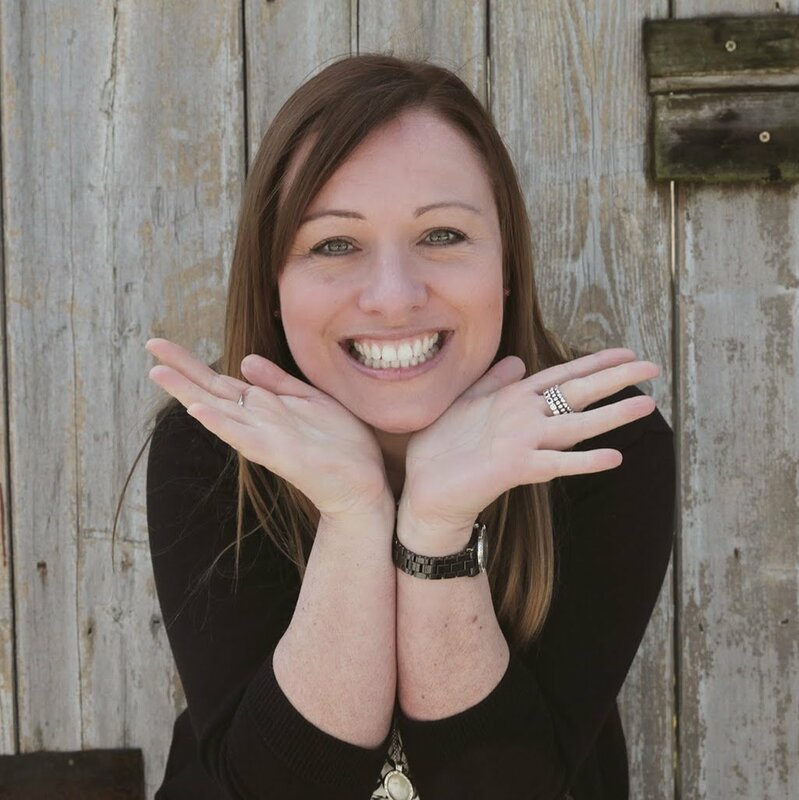 Flowers: I had artificial flowers, because I wanted everywhere to look Christmassy and it also means I can also use them every Christmas, which is a great way of recycling and they will always remind me of our wedding day. Evening: We had a further 20 guests in the evening and the same DJ I’d had at my 40th birthday party. A couple of years ago we were on holiday in Turkey and my daughter got me up on the stage in the Miss Pine Bay competition. As part of the contest you had to sing a song, so I chose Time of My Life from the film Dirty Dancing – and I won! When we got home we watched the film and Derry said I danced more like Baby’s sister than Baby, so I challenged him to learn the routine. As a former athlete Derry is dead competitive so he agreed, even though he has two left feet. After the games I rang round dance classes and found someone who taught us the routine in eight classes. We did the lift, although he needed a hand from a couple of mates, and it was absolutely brilliant. I would recommend it to anyone – learn a dance that is special to you. When you are planning a wedding you are so busy that you forget about yourself and having dance classes gives you quality time together. The couple opted for chocolate logs instead of a traditional wedding cake. Cake: We had a three-tiered chocolate log from Sharon’s Cakes in Warsop. 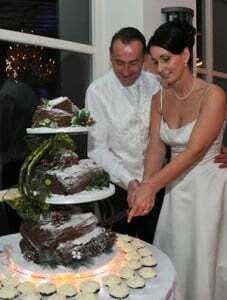 I didn’t want a traditional wedding cake, or just a Christmas cake, so we went for a chocolate log. It was served up in the evening and was delicious. Photographers: We had Kev Matthews Photography and both Kev and his wife Kate were with us all day, from 9am-9pm. Having two photographers worked really well, because if one was busy taking pictures on one side of the room, they didn’t miss anything going on elsewhere. Kate met me at Shottle Hall in the morning and took some pictures of me in one of the bedrooms, while Kev went with Derry and Oscar to Sainsbury’s for breakfast! One took a video of the speeches, while the other took pictures. 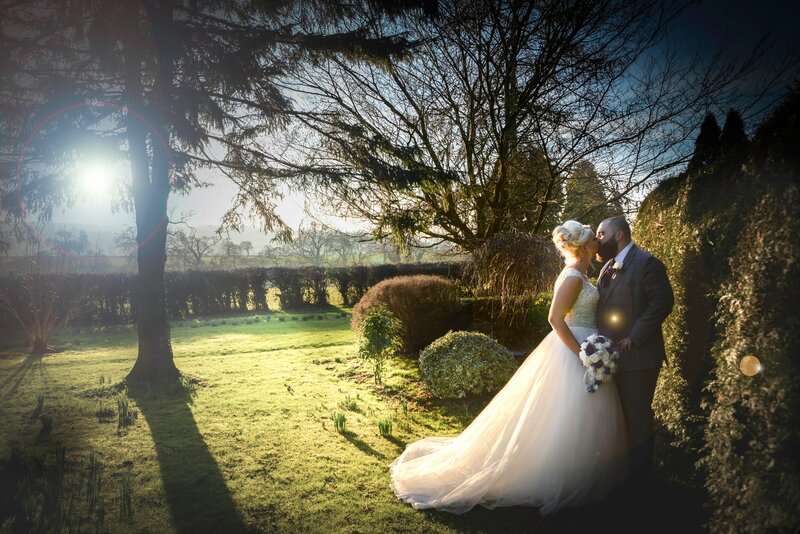 We have so many pictures to choose from, we are thrilled with them. Honeymoon: We went to Edinburgh for four nights. We stayed in the Grand Sheraton overlooking the Castle and it was just the two of us, so very special. We went to see the live show Dirty Dancing, which means so much to us now, and it had us both crying. I think that evening will always stay with us forever.